As a part of the Executive Leadership Program, I have been interviewing leaders. One of the common pieces of advice I get is to know myself and own my strengths and weaknesses. Take the time to discover what I am good at and find a position that lets my strengths shine. At the same time, understand where I struggle and look for jobs that do not emphasize those traits. I want to work in a place and a position that allows me to bring as much of my “true self” into the position as I can. I also need to make sure that if my values and strengths do not align with my current job, I will find a new one. You won’t magically know what job will be the best fit, but there are several tools you can use for finding a job that will let your strengths shine. You need to take a long, hard look at yourself and be brutally honest. You need to look at both your strengths and weaknesses and own them. While you can always improve upon things, your strengths will always be your strengths. Don’t fight your inherent nature, work with it. When your peers and supervisors give you feedback, take it to heart. We often have blind spots when it comes to our own abilities. Listen to what aspects of your performance garner praise and what others think you could work on. I’ll be honest, I don’t put a ton of stock in the Myers-Briggs system (I’m an INFP). I often feel like it is over-emphasized in the workplace. However, there are some truths that can be unlocked by taking a Myers-Briggs test and it is often felt to be an effective work-style indicator. Even if you do not agree with everything, the simple act of taking the test forces you to reflect on how you feel you are most effective. Armed with this knowledge, you can look for positions that support your work style. Understanding your work and learning styles can be incredibly effective ways to predict how you will grow and develop in a particular role or organization. Taking a learning-style assessment to understand if you are a visual, auditory or tactile learner can help you uncover the tools that will make your learning curve seem less steep (I’m a visual learner with some tactile tendencies). It can also help you pick a position that more often utilizes the appropriate communication style to help you learn in your job. Likewise, taking a work-style assessment can help you establish your office tendencies to become more productive (I’m supportive, expressive and emotionally-oriented). You can use the assessment to find a role that allows your work style to thrive. There are a number of tests you can take to help understand your strengths and weaknesses. One of the more popular options is the StrengthsFinder test and I personally have taken the 360 Leadership Effectiveness Inventory. Both of these assessments are thorough pictures of your strengths and weaknesses. If you are looking for a free option, the High 5 Test and Via Assessment provide quick snapshots of your skillset. I can tell you from personal experience that this advice works. After self-reflection and using tools like the ones listed above, I realized that I was not in the right position to shine. I am happy to report that on Monday I will be starting a new position better suited to my strengths. Wish me luck! 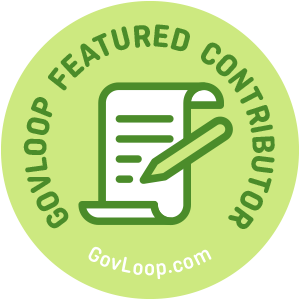 Amelia Shister is part of the GovLoop Featured Contributor program, where we feature articles by government voices from all across the country (and world!). To see more Featured Contributor posts, click here. 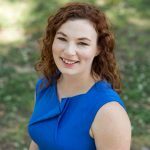 I thoroughly enjoyed reading this blog, and certainly have my work cut out for me looking through the several resources you linked! Best of luck on the new role! Congratulations on your new role, and best wishes as you move forward! I love all the information you shared. I hope maybe you can share more in the future on this topic, including showcasing yourself through cover letters and resumes, and how to interview well. Can’t wait to hear more from you!